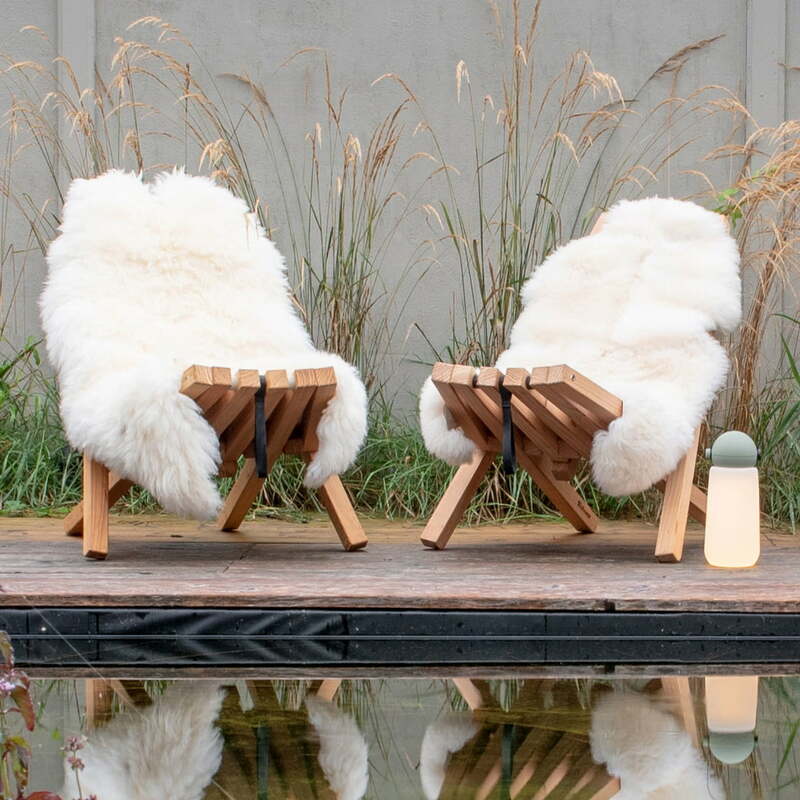 Weltevree's sheepskin creates cosiness in the interior and exterior ambience. 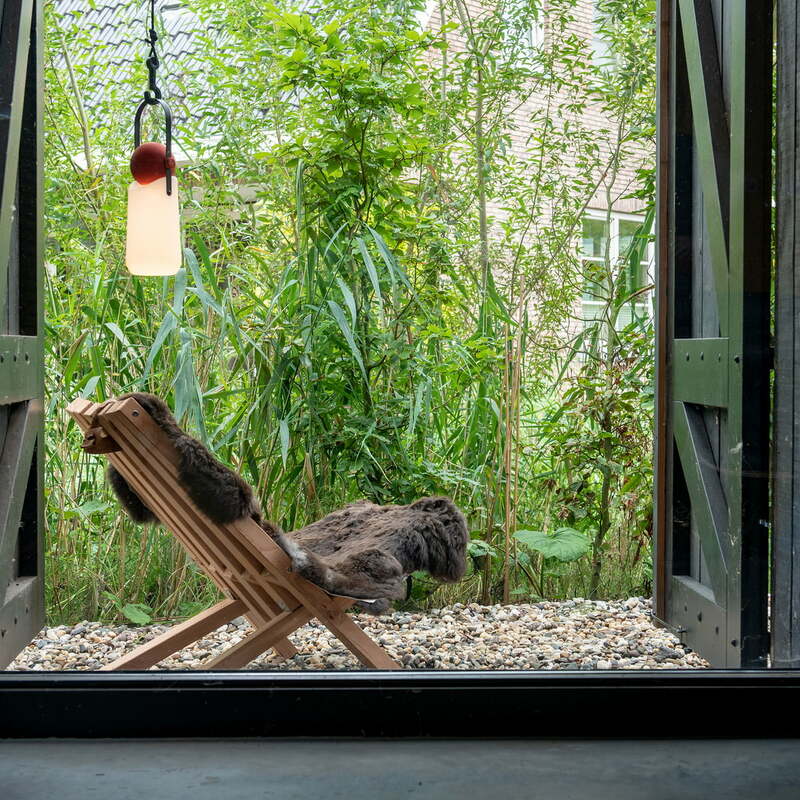 Arranged as a carpet on the floor or as a throw-over placed on the fieldchair and a bench, the fur provides warmth, well-being and a cozy atmosphere. 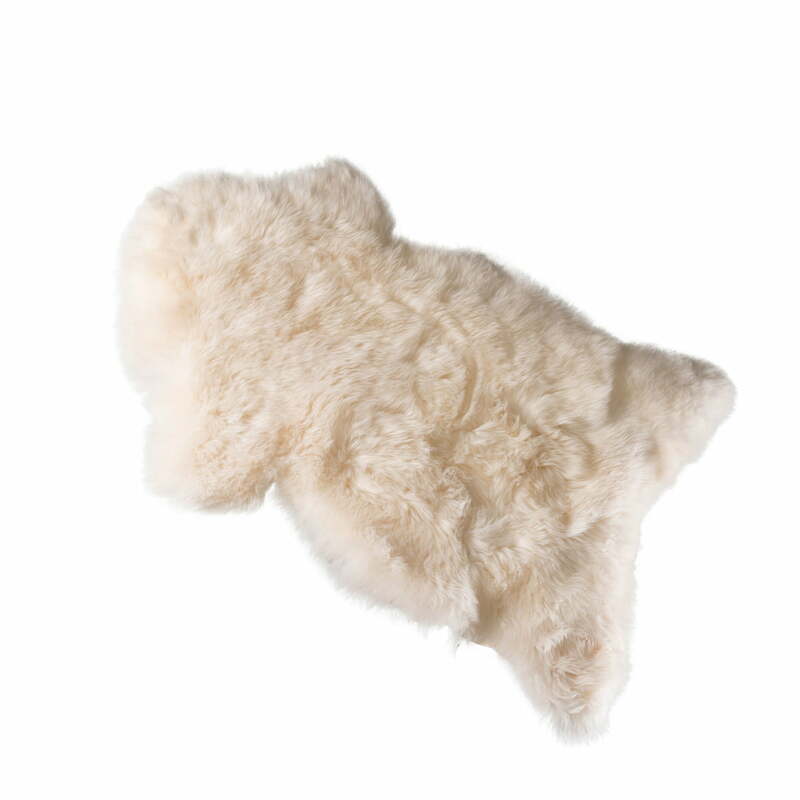 The fur comes from Dutch Texel sheep, which are known for their high-quality wool. It immediately absorbs body heat and has an insulating effect, which is especially advantageous in the colder seasons. 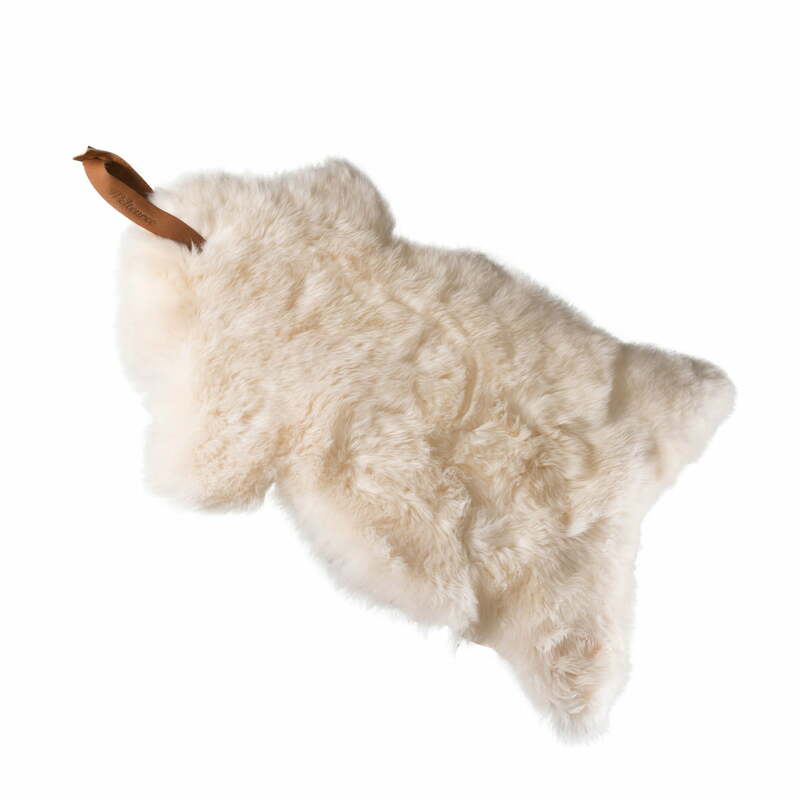 The fur is available as carpet variants or with loop as a cover for the Fieldchair. You can also choose between a white and a brown version. 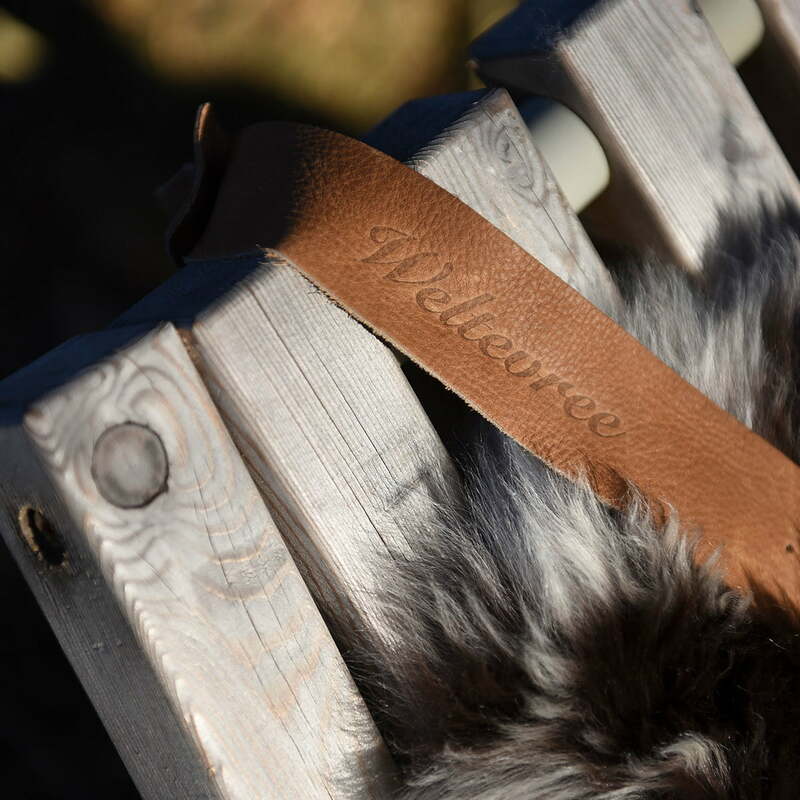 Fieldchair with sheepskin by Weltevree in single view. 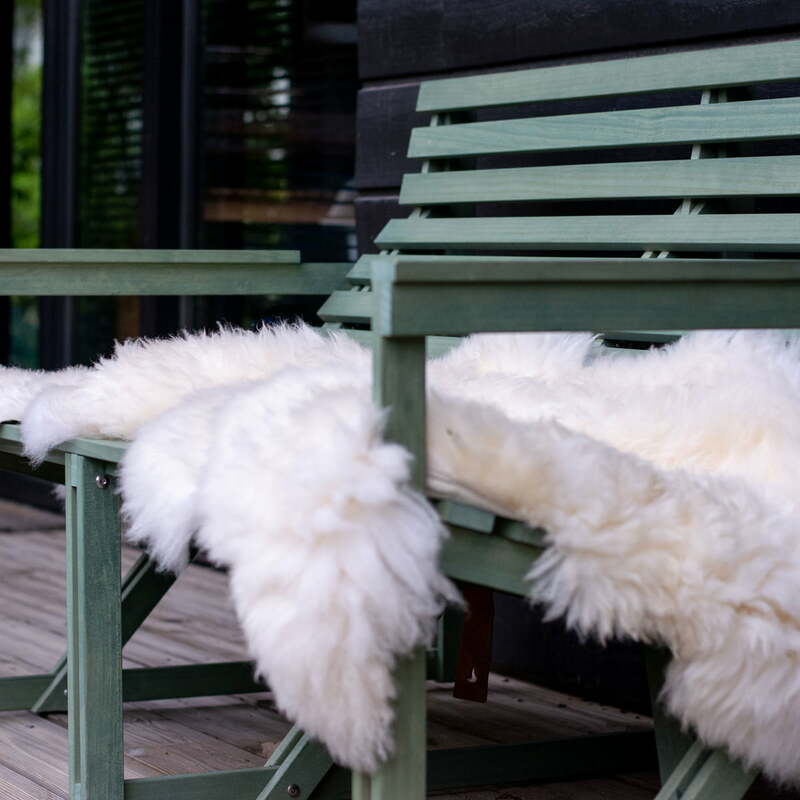 To make the Fieldchair even more comfortable, it can easily be combined with the matching sheepskin. 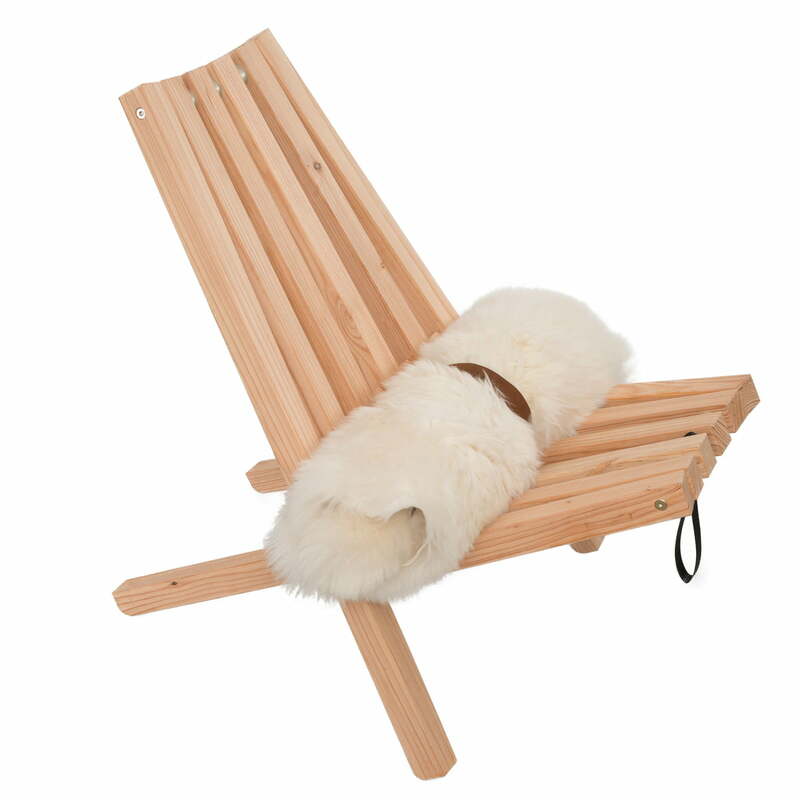 Fieldchair with sheepskin by Weltevree in single view. In the garden chairs you can spend relaxing moments. In the garden they provide a great eye-catcher. 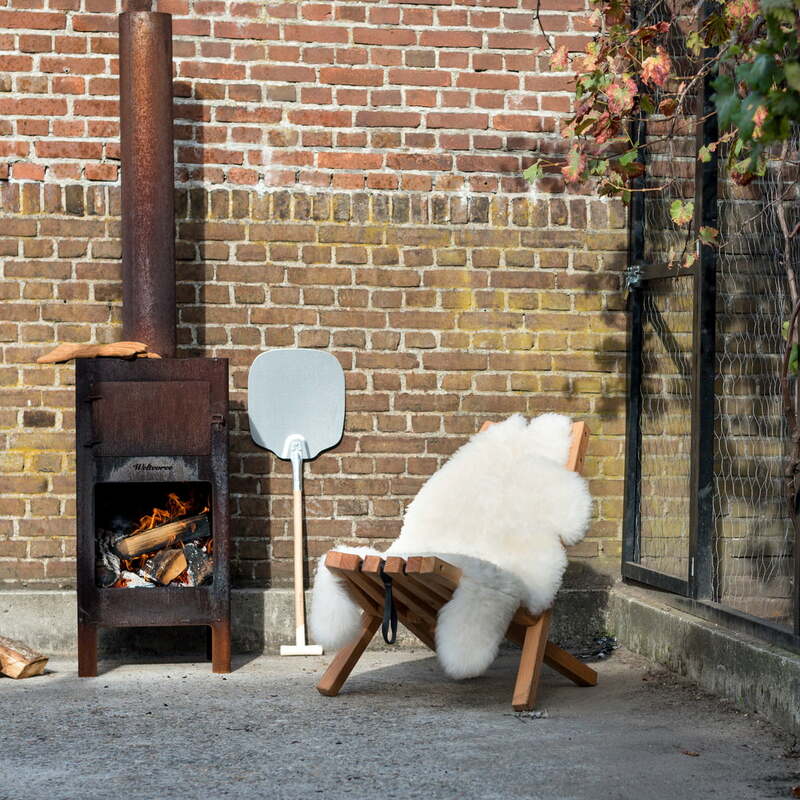 Fieldchair with sheepskin and the outdoor steel stove from Weltevree in the ambience view. 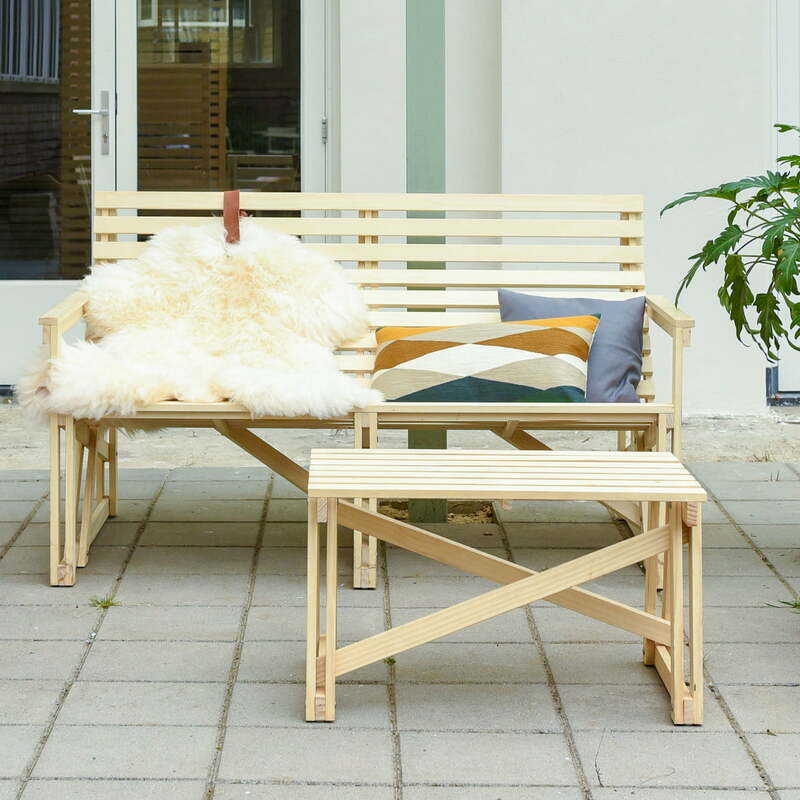 Weltevree offers numerous outdoor products that can be wonderfully combined with each other.